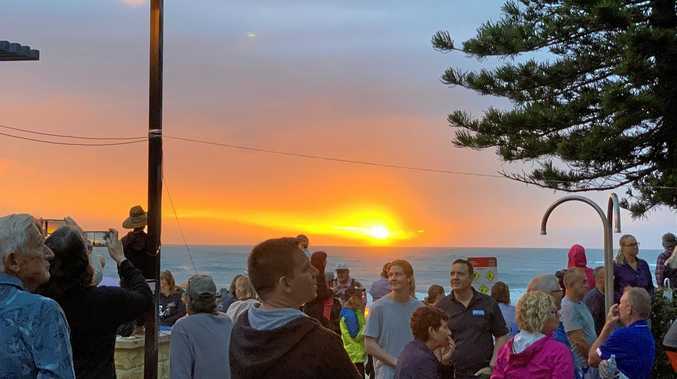 ONE lucky local got a pleasant surprise while looking out at Kellys Beach at lunch time today. Jimmy Scaboo captured an incredible sight of a juvenile humpback whale breaching itself in the surf, alongside its mother 2km off the shore. 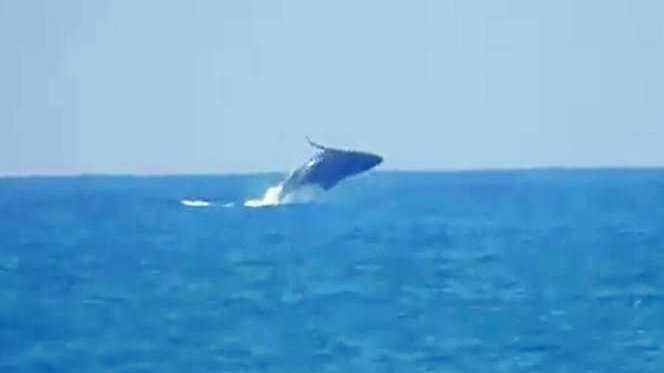 Whales jump of the water at Kellys Beach: Whale caught jumping out of the water at Kellys Beach by Jimmy Scaboo. Mr Scaboo said he was on his surf ski when he noticed the whales, then paddled back to his car in a hurry for the camera. "I have seen them do this in Mauritius whilst surfing the outer reefs," he said. "Such a blessing to see, mother and calf together. Put the world's bad news into perspective! "We live in an amazing place." The videos were taken with Nikon P900 on full 83x zoom. One of the most spectacular of all the whale behaviours, breaches are when the whale jumps clear of the water. It is also sometimes referred to as cresting. Manly whales species such as humpbacks, right, sperm, orca and dolphins are famous for breaching.